Start Me Up-The Rolling Stone | Wedding Wisdom, Etc. “Start Me Up” by The Rolling Stones is one of those great songs that never fails to pack a dance floor at any party. Once again, it’s got all the perfect elements to pack a dance floor. Keith Richards’ iconic guitar introduction makes the song instantly recognizable. Mick Jagger’s lyrics are, as usual less than brilliant, but definitely “sing-alongable.” Aside from the title, the phrase “you make a grown man cry” are forever implanted in the rock lexicon. Here is an example of the lyrics, which seem more like random syllables to match the rhythm, than an attempt at pop poetry. 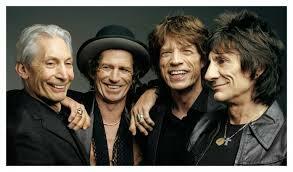 But you go to The Rolling Stones for raw energy, of which this song is filled. Let me know your thoughts; leave me a message.